Europe’s data protection rules are undergoing sweeping changes. To keep up with the huge amount of digital data being created, rules across the continent have been re-written and are due to be enforced. From May 25, 2018, the new mutually agreed European General Data Protection Regulation (GDPR) will update personal data rules. GDPR will bring outdated personal data laws across the EU up to speed with an increasingly digital era. The previous data protection laws were put in place during the 1990s and haven’t been able to keep pace with the levels of technological change. MediaBlaze Hosts is dedicated to protecting your data and ensuring security of said data at all times. 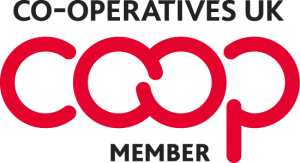 We provide hosting, IT Security and other web based services to like-minded individuals and businesses that support and believe in the co-operative model. Your data is processed within the UK as well as being held on servers located in the UK, we will never share your data with Third Parties unless absolutely necessary, for example, the provision of services such as Domain Name Registration and the provisioning of GlobalSign SSL Certificates, you can see their Privacy Policies by either going to their website our seeing the list of Sub Contractors in our GDPR Policy, we will at all times inform you if and when your information is shared. If you believe the information we hold for you is incorrect and you wish to have it amended or deleted please contact us in the first instance and we will be happy to process your request. If you are not satisfied with our response or believe we are processing your personal data not in accordance with the law you may file a complaint with us here, if our response is not satisfactory, you may then contact the Information Commissioner’s Office (ICO). If you have any questions relating to our implementation of GDPR, please feel free to contact us via live chat, email: cs@mediablazehosts.coop or call: 0333 335 0166 we look forward to hearing from you.